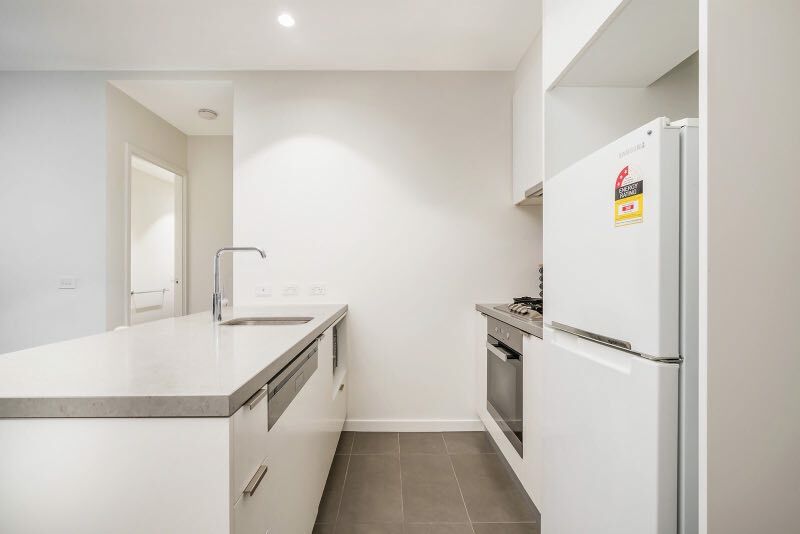 This state of the art building boasts a 24-hour concierge and never run out of groceries with Woolworths Metro at the base. 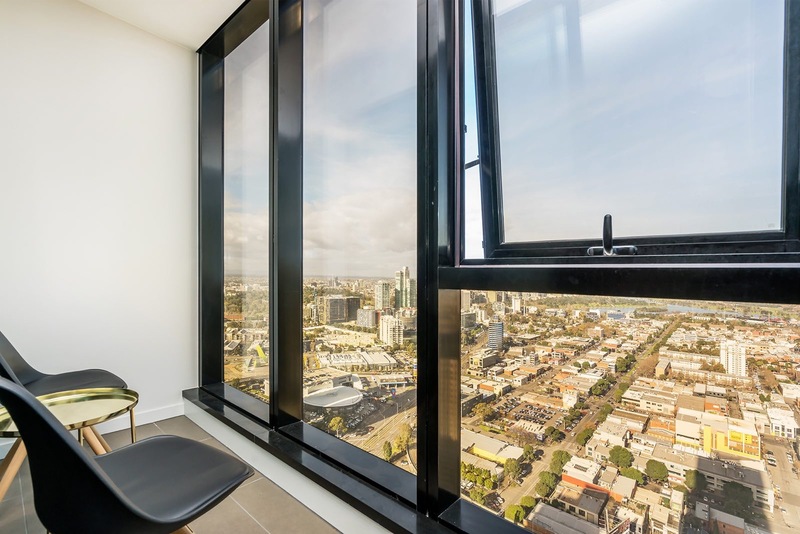 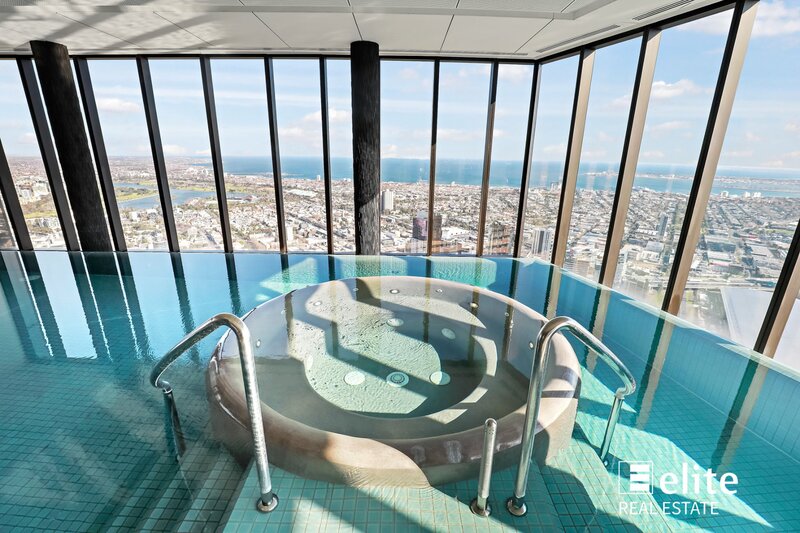 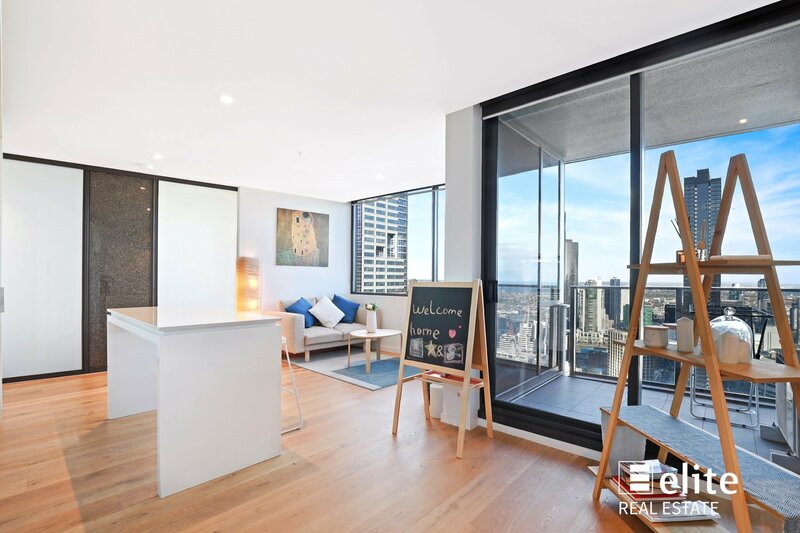 Rise to the top on the 52nd floor amenities and take advantage of the indoor heated pool and spa, well-equipped gym, steam room, residents private dining rooms, barbecue facilities and opulent residents sky-lounge all with breathtaking views of Melbourne City. 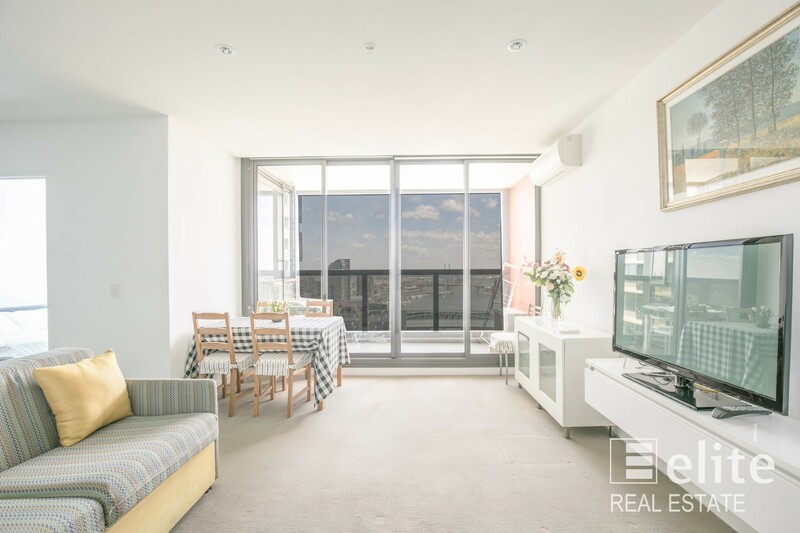 With sweeping views this light filled apartment ticks all the boxes. 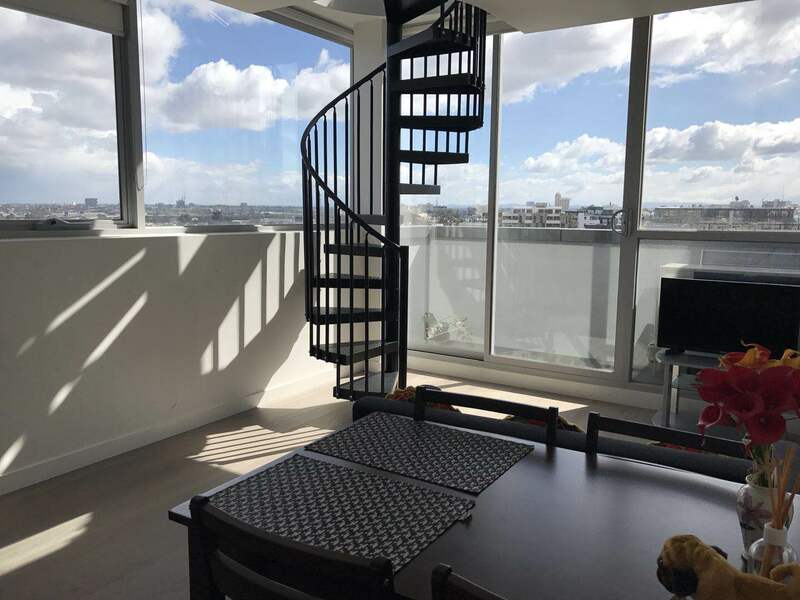 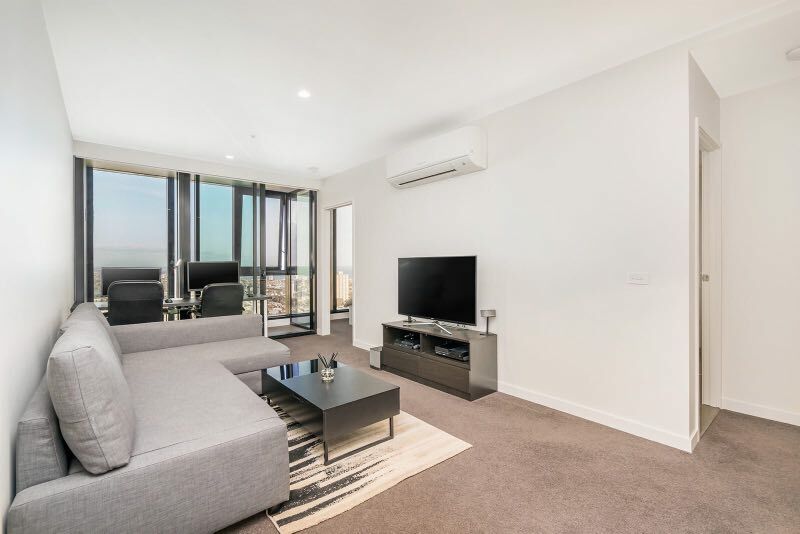 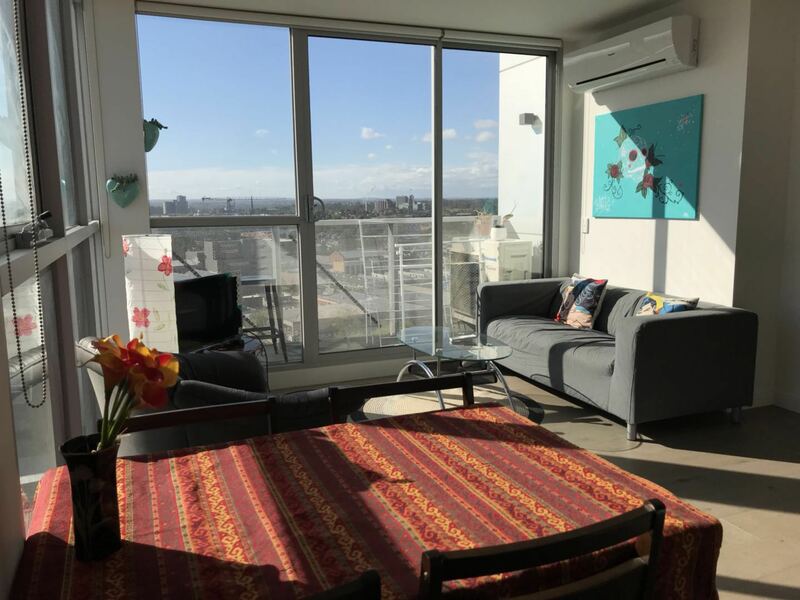 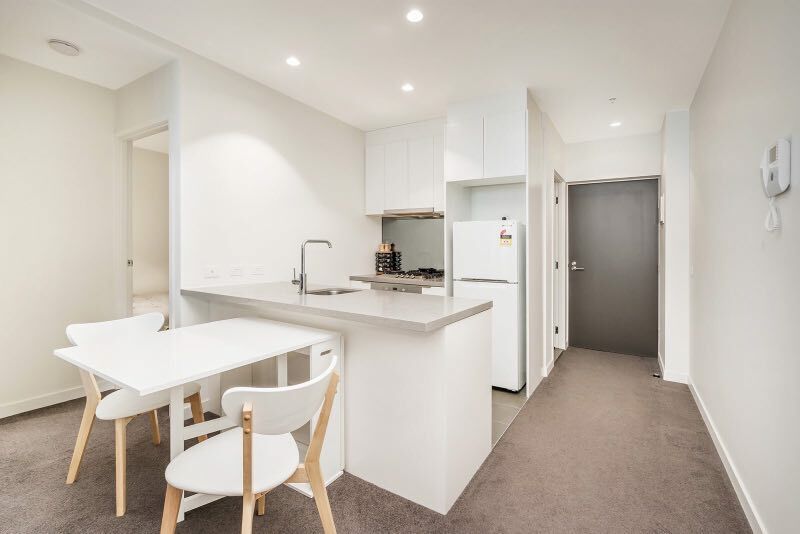 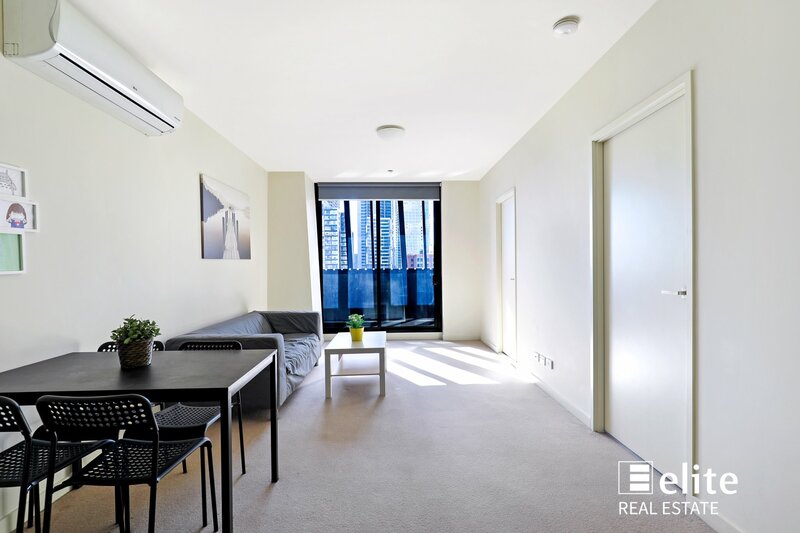 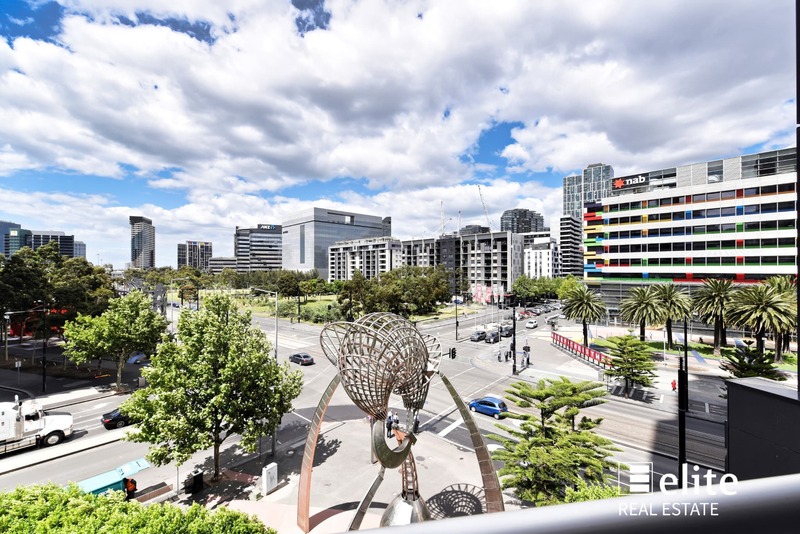 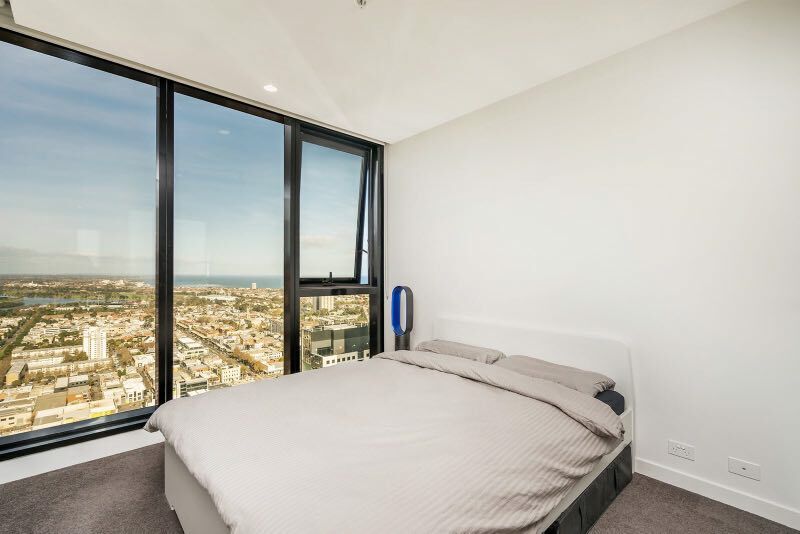 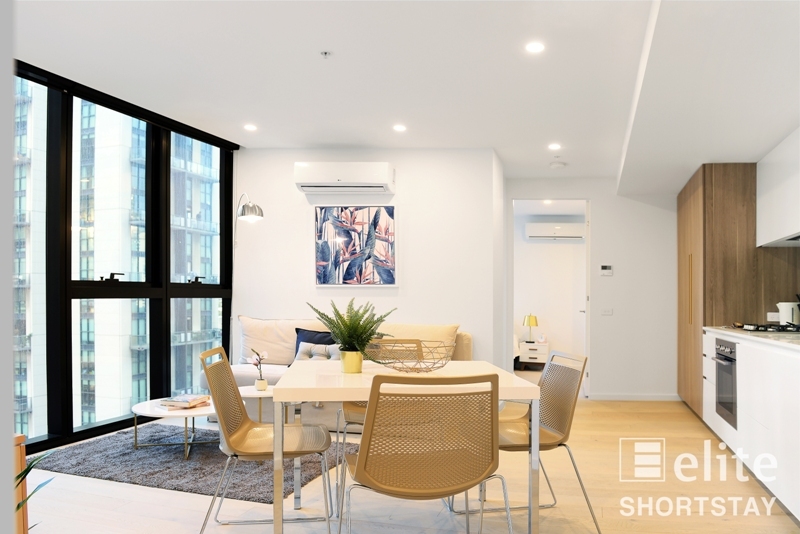 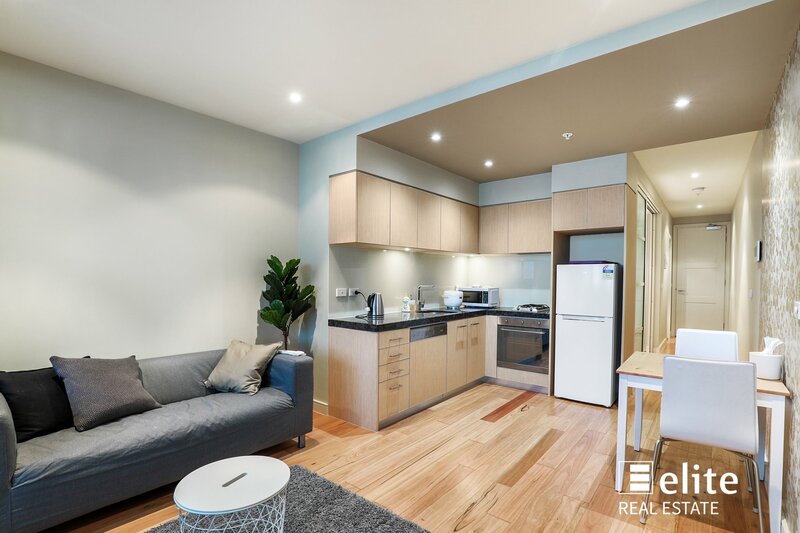 Situated only minutes from the Casino, Iconic Yarra River, South Melbourne Market and CBD and with resort style facilities including pool, steam room, gym and sky lounge everyone will enjoy. 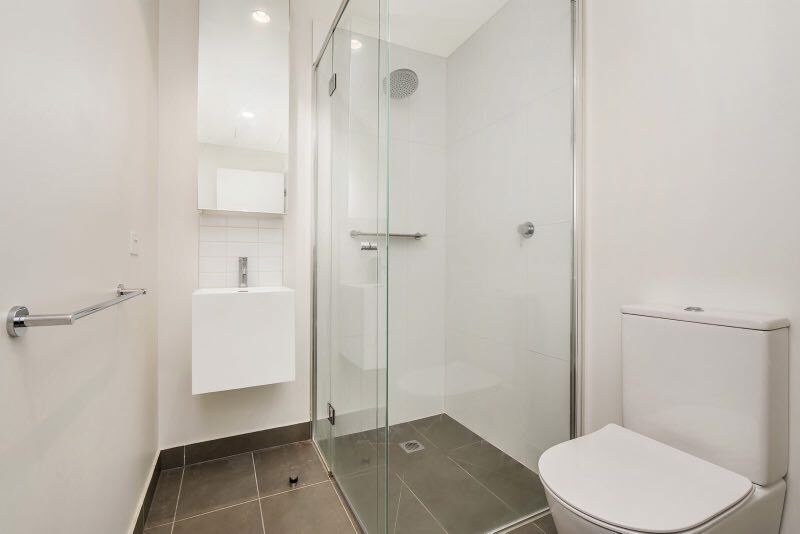 Featuring, two bedrooms, two bathrooms, all modern fixtures and fittings, 24 hour concierge and a secure car park. 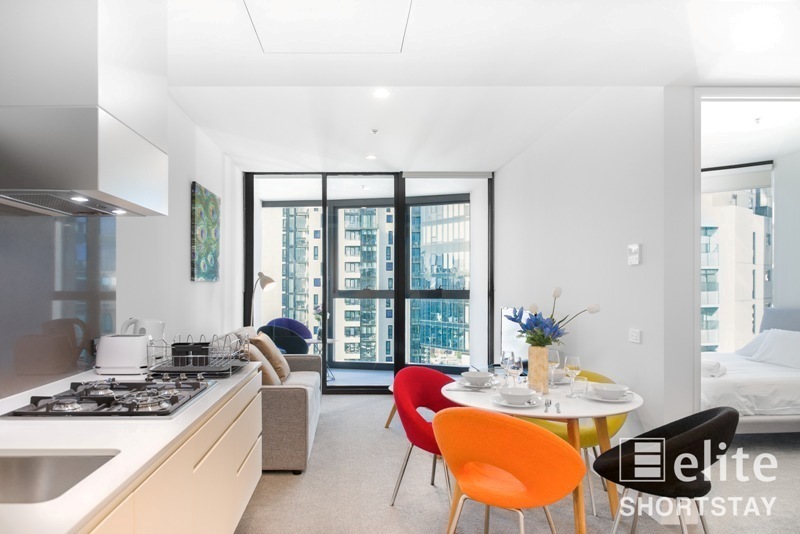 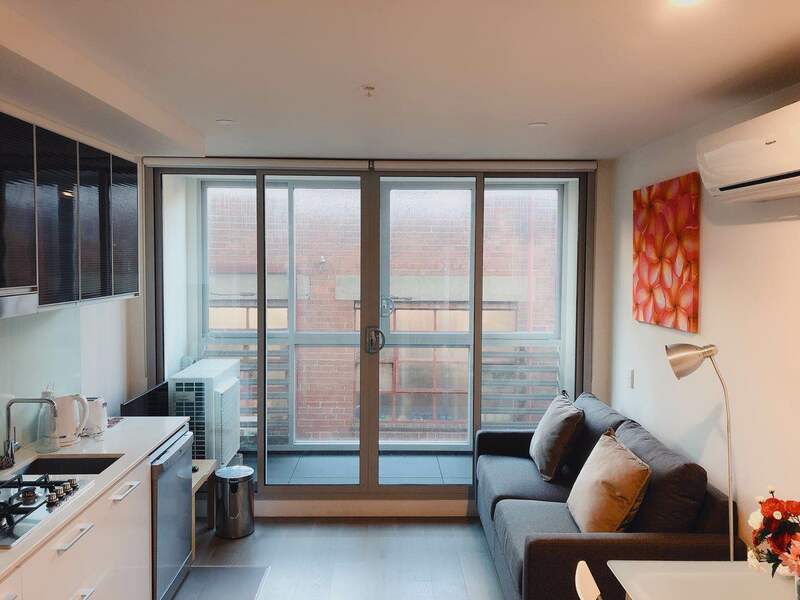 180 degree landscape，5 minutes' walk to Crown Casino; 3 minutes walk to tram stops right in front of the apartment.